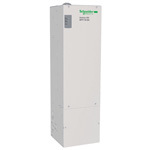 The Xantrex XW + Series hybrid inverter/charger offers an innovative, integrated design which minimizes external balance-of-system components allowing for much quicker and easier installation. The XW Series offers pure sine-wave capability as well as split-phase operation right out of the box for 120 VAC and/or 240 VAC solutions. Up to three units can be operated in parallel, offering 18 kW, 120/240 VAC power. Certified to UL-1741 and CSA for grid-tie applications, the XW can be used as a grid-tie battery-backup inverter or an off-grid inverter. 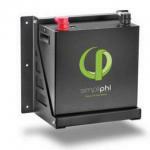 One or two XW MPPT charge controllers are required for PV grid-tie operation. Unsurpassed surge capacity is achieved by using digital control to regulate the output voltage from dropping during surge. 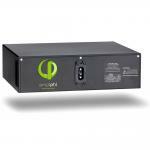 A full 200% rated output power is delivered to load under surge conditions. Efficient, power-factor-corrected, high-current multi-stage battery charging minimizes recharge time and electricity/fuel costs, and prolongs battery life. The inverter display panel give status-at-a-glance. LEDs indicate AC-in status, faults/warnings, equalize mode, and battery state of charge. Three-character LCD indicates output power or charge current. 5-year warranty. Dimensions of the inverter are 16" x 23" x 9". 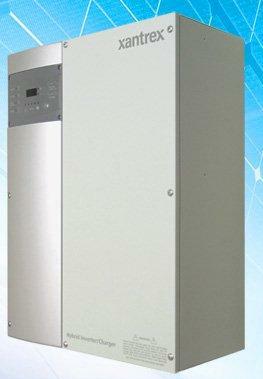 The inverter is field-serviceable without needing to remove it from the wall.